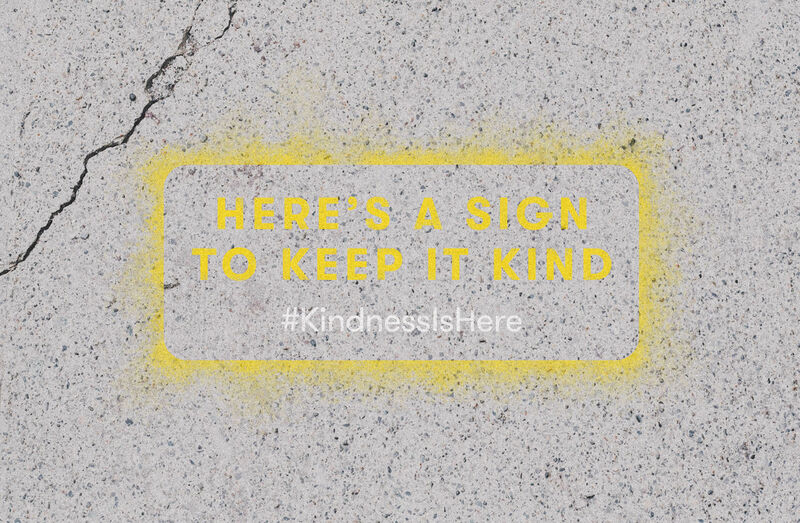 You have to acknowledge someone’s behavior once to reinforce it forever. 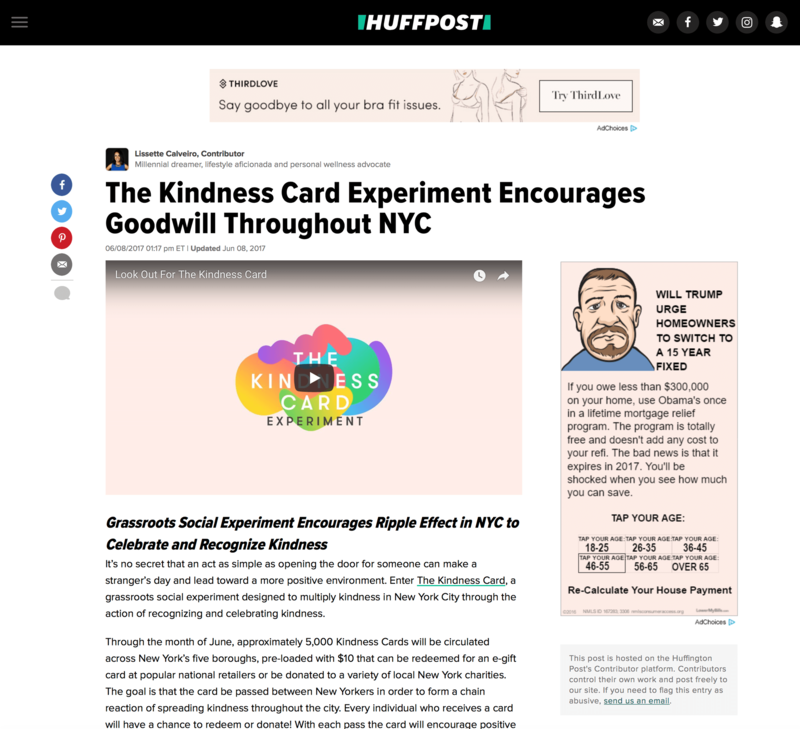 That insight fueled a unique social experiment to reward acts of kindness in New York City, which is infamous for being rude. 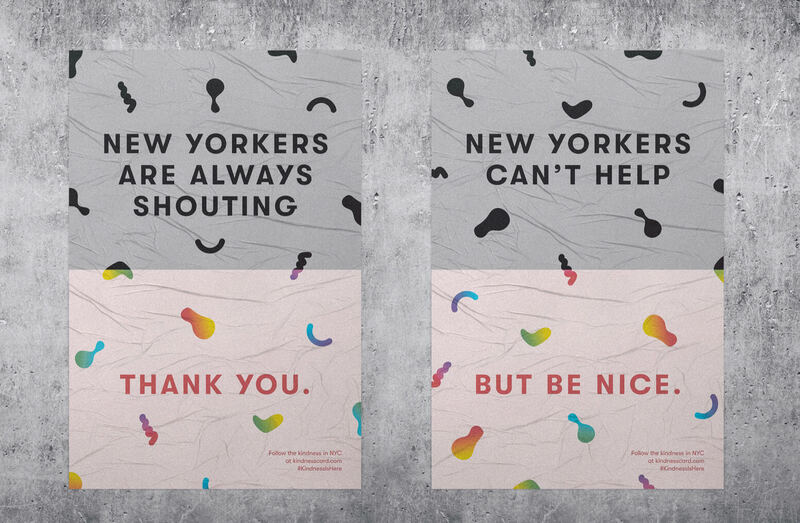 If we can change a few New Yorkers, we can change the city. 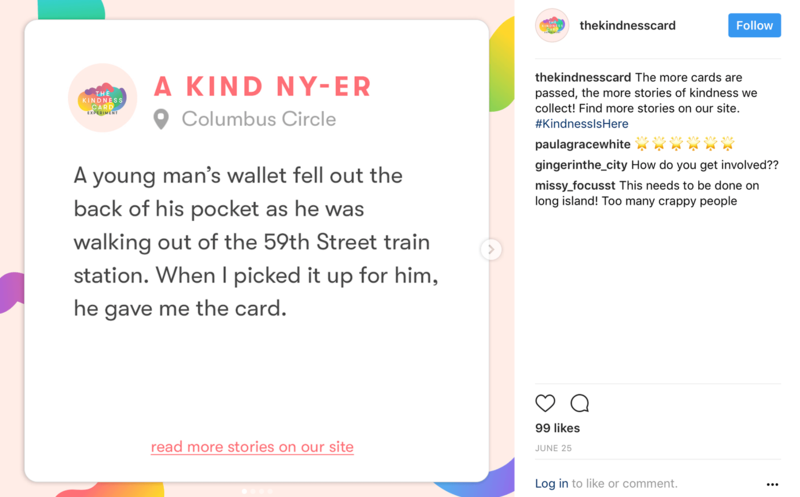 For the first time ever one could literally track kindness to see how far it can go. 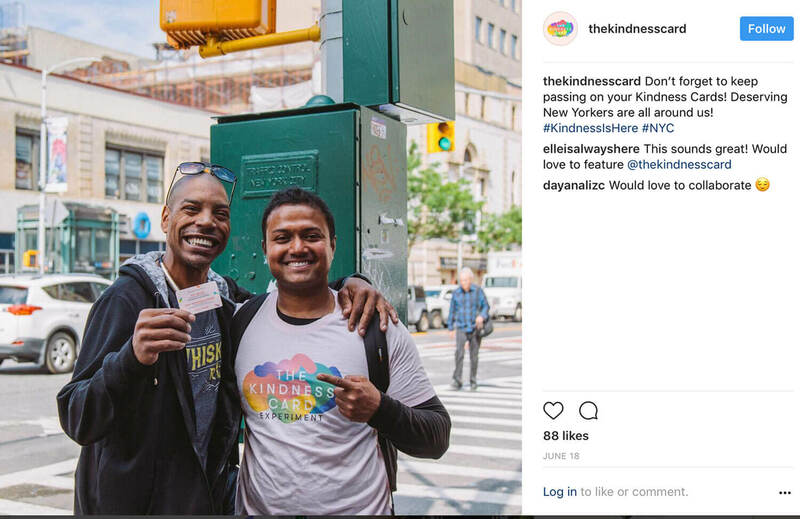 A pre-loaded $10 Kindness Card was given to reward people spotted in an act of kindness. 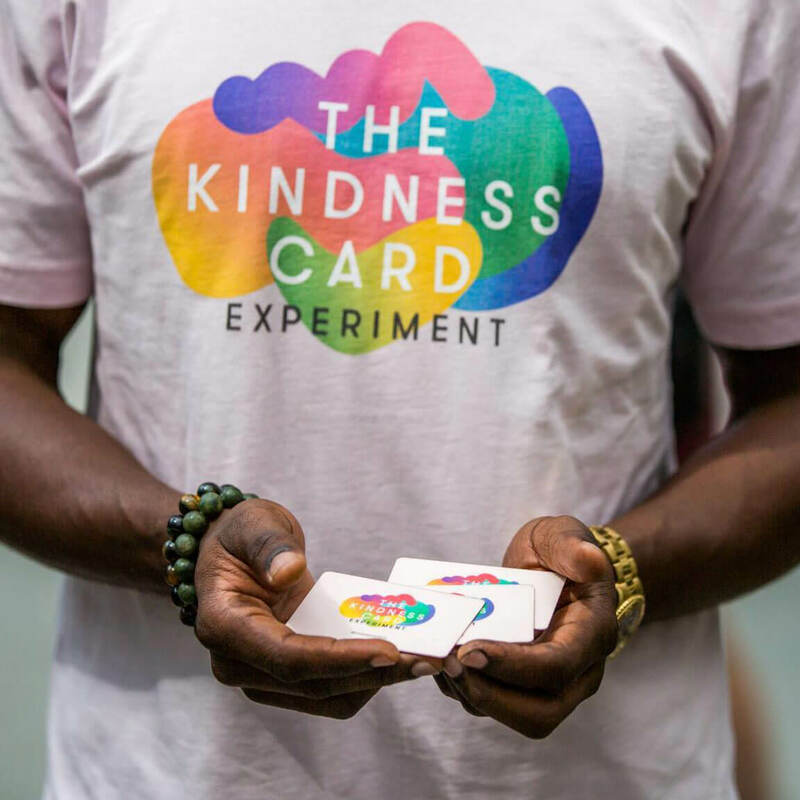 Once redeemed, the card automatically reloaded and was passed along within 24 hrs to another kind person, to keep the chain of kindness going. 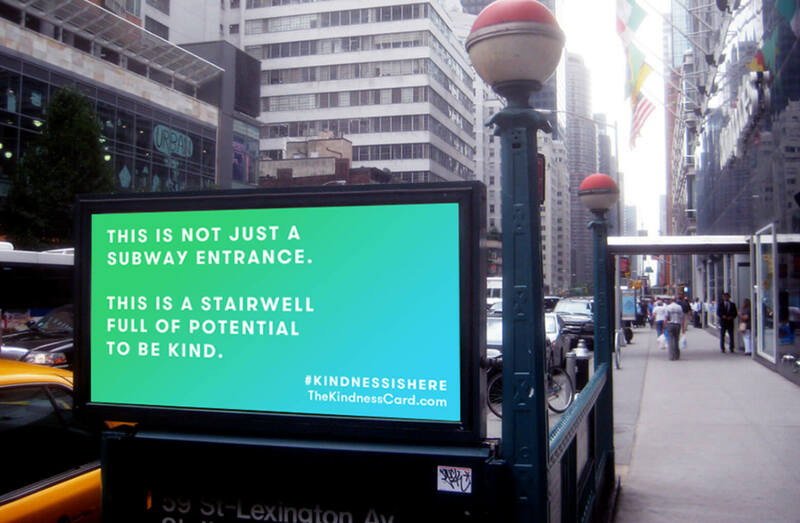 How far can a streak of kindness travel? 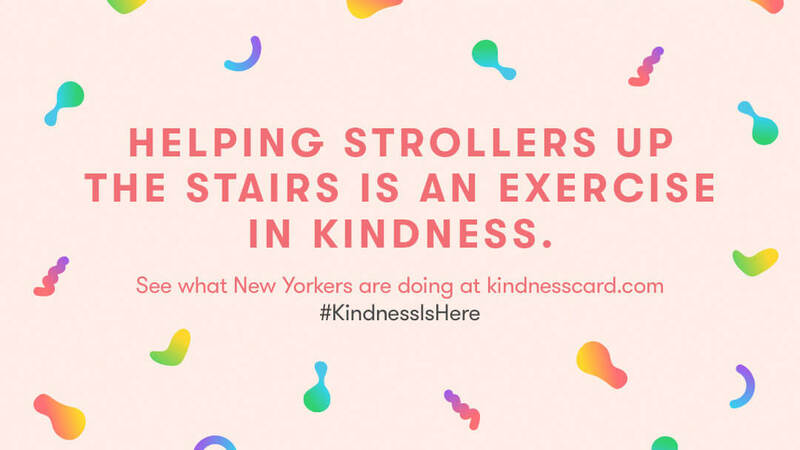 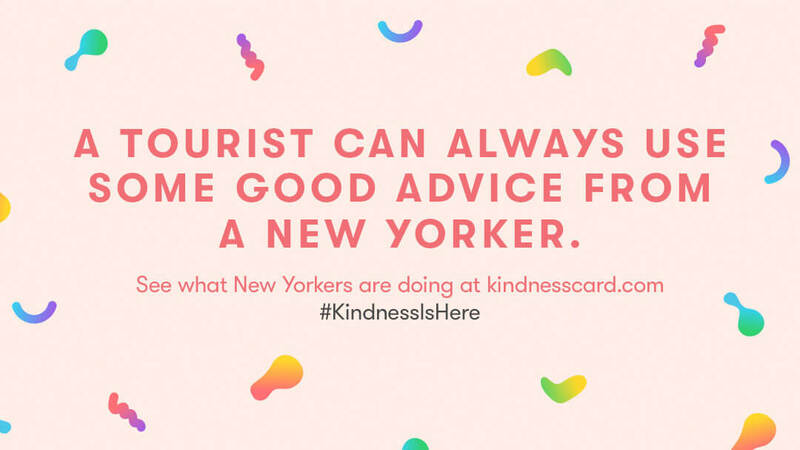 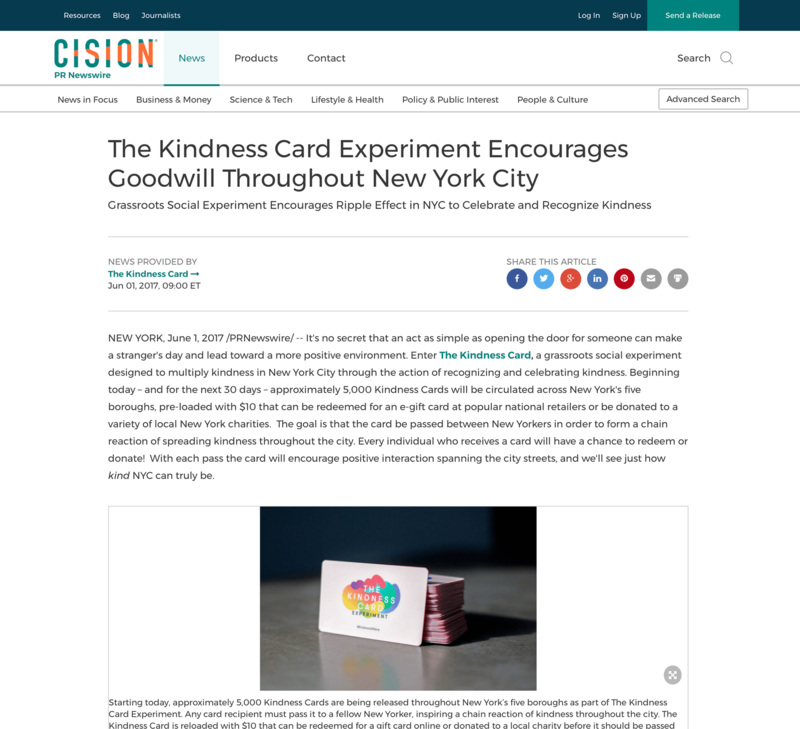 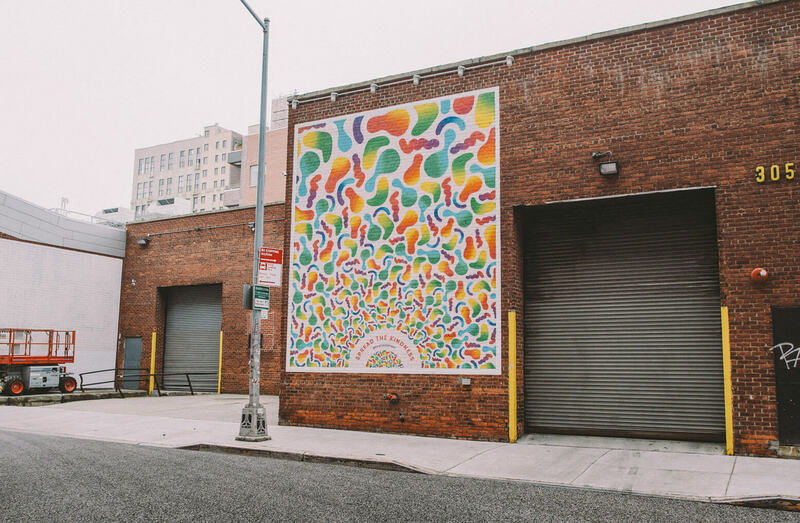 We attempted that bold experiment by giving out 5000 Kindness cards in every borough and neighborhood in New York. 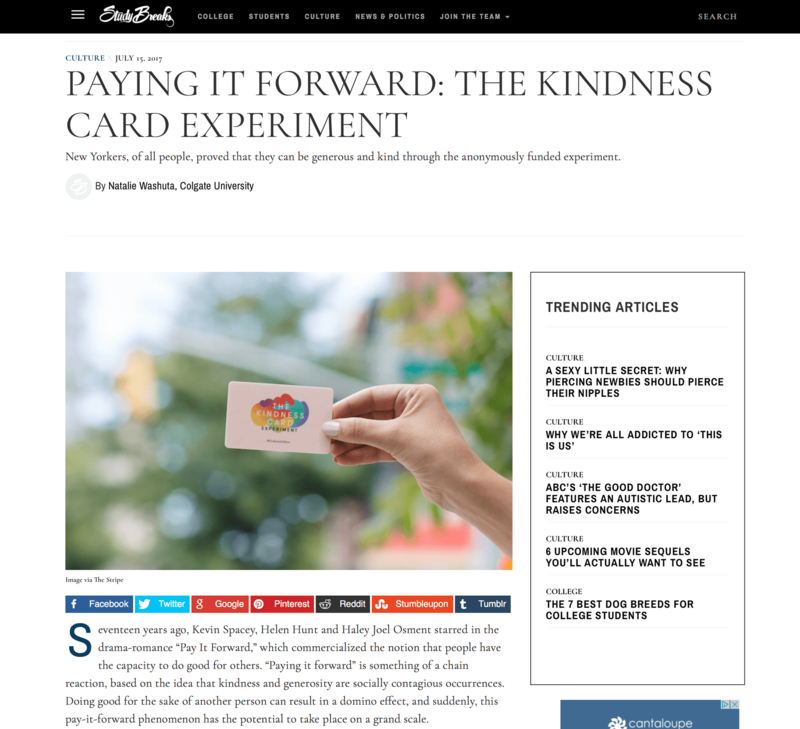 A digital mechanism allowed us to see how many times a kindness card exchanged hands. 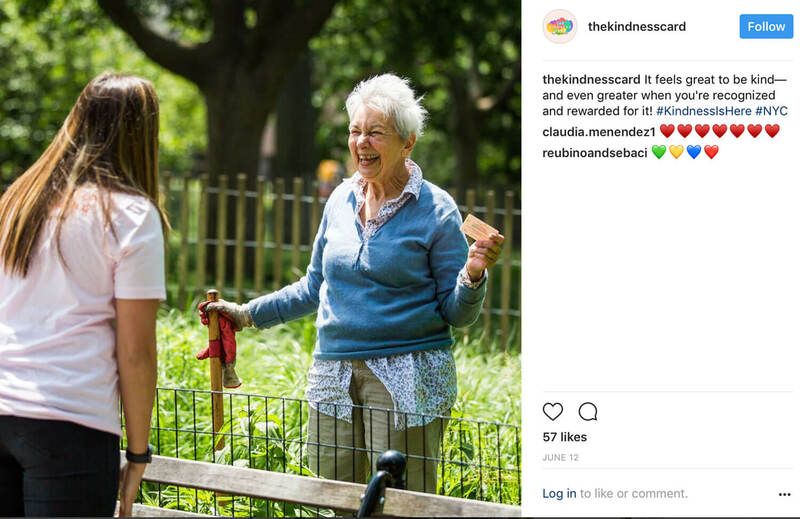 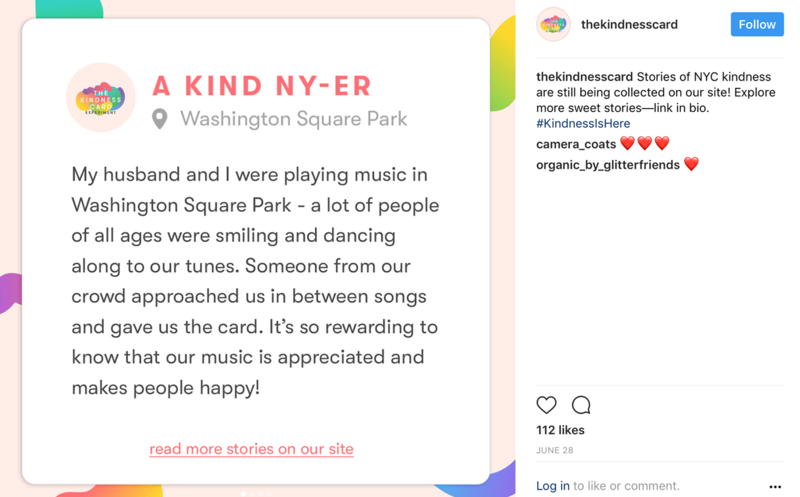 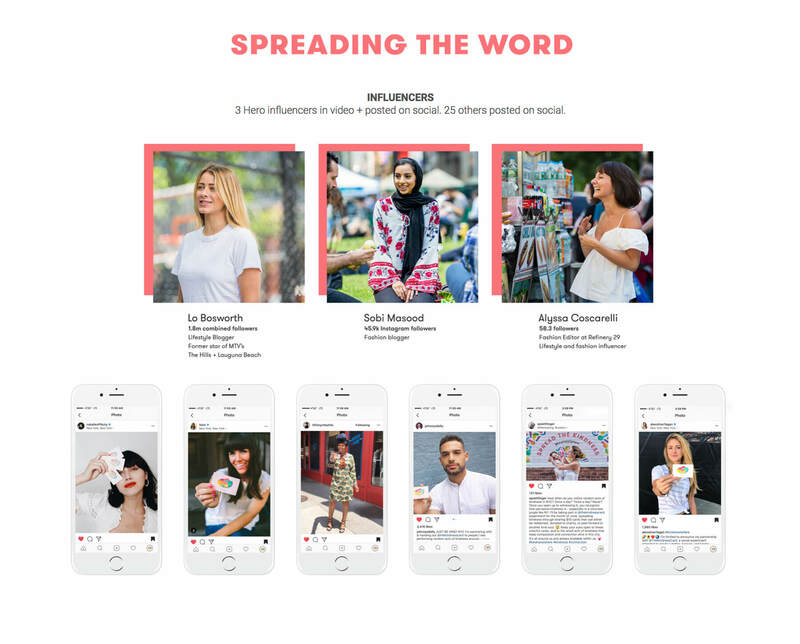 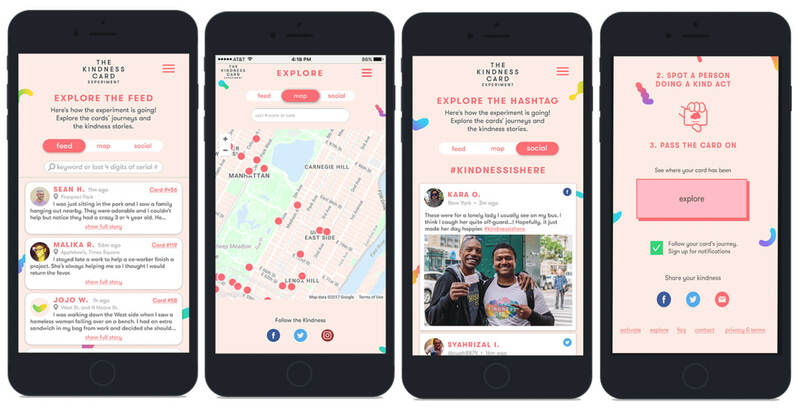 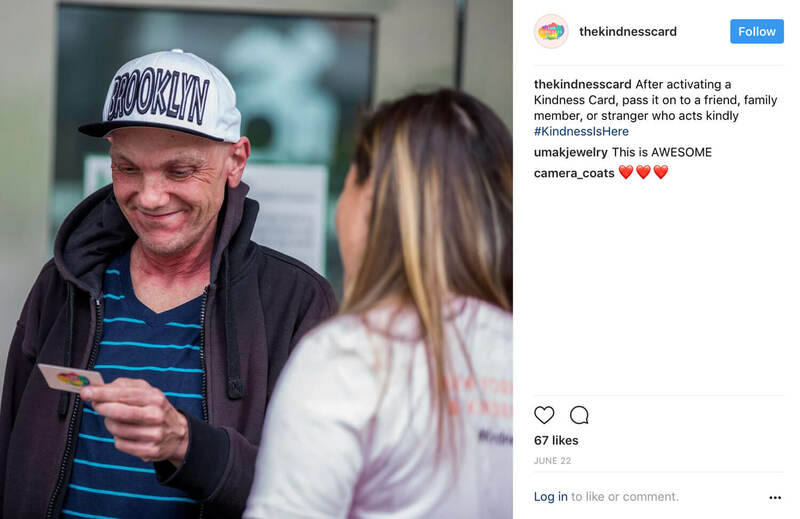 Influencers pushed the kindness message through their social channels. 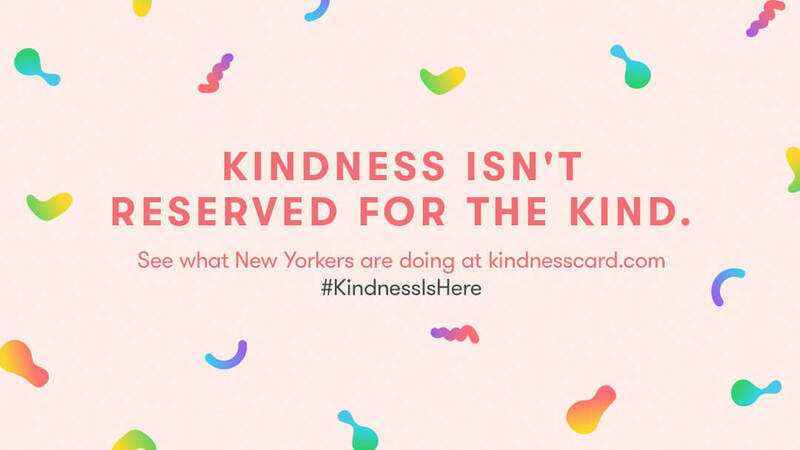 Kindness prompts in public places to encourage people to pass the card along. 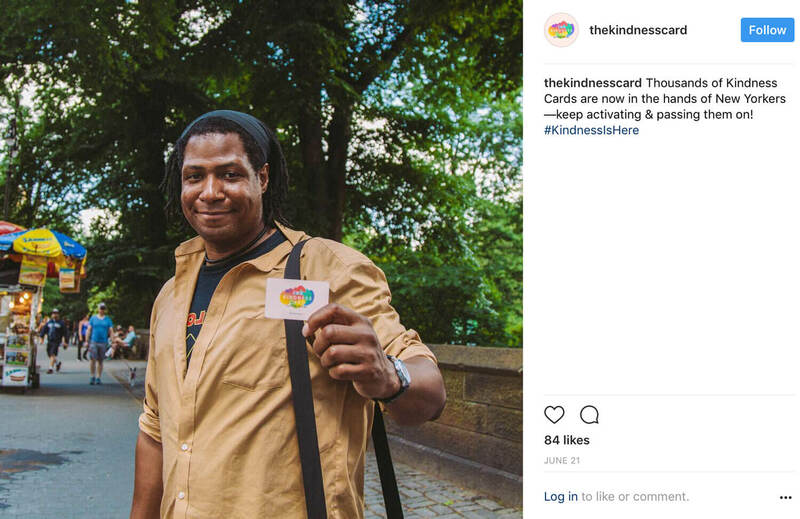 Kindness stories fueled the movement and the card. 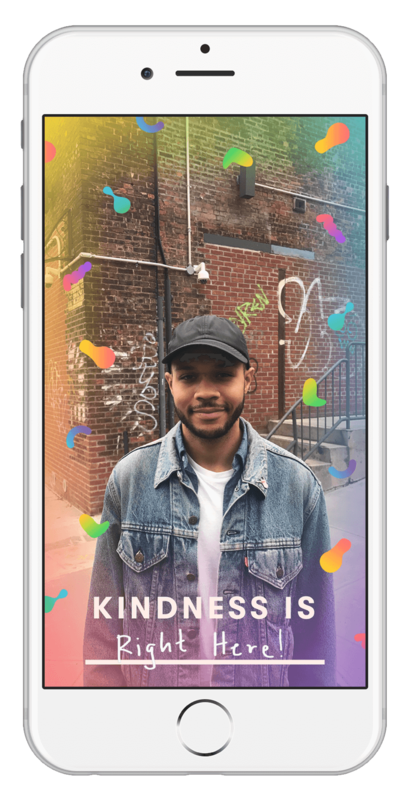 Over a 100 million impressions and 1000+ acts of kindness recorded in the app. 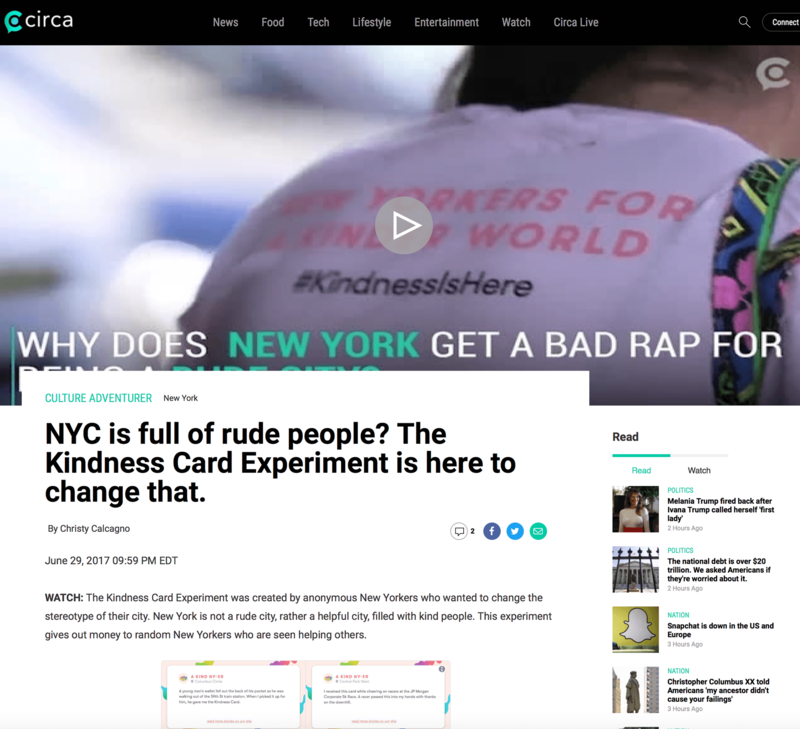 Everyone got involved in this New York movement including the press. 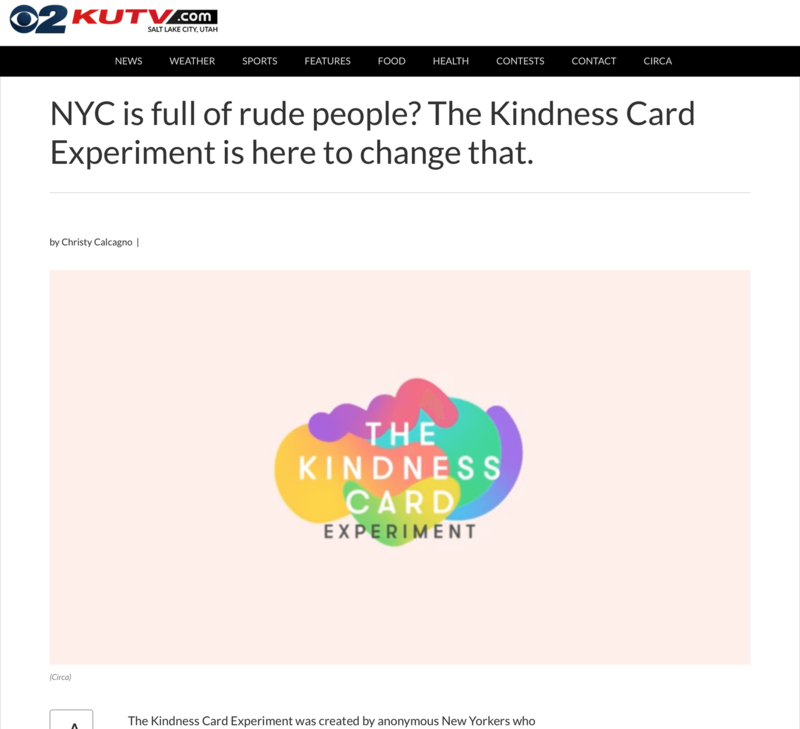 Someone wanted to start this in Chicago, San Francisco, Kansas, and even the Netherlands. 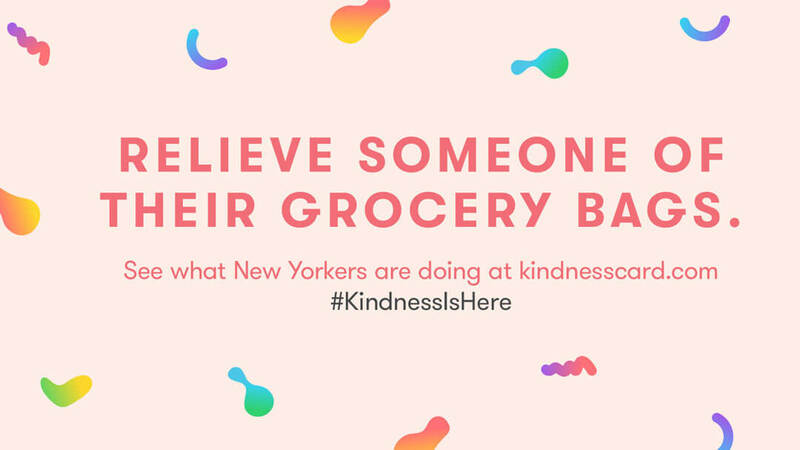 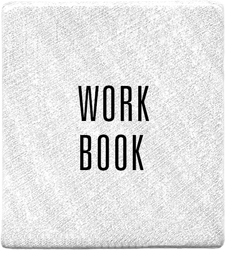 Start one in your city.